How do they fit on the bike? The BikeWrappers are made of a highly reflective poly-blend spandex with a velcro fastening system. They come in a three piece set to fasten onto your top tube, down tube, and seat tube. Watch our instructional video to see how quickly they go on and off. But will they fit on MY bike? The BikeWrappers were engineered to fit on almost all bikes. We took the time and energy to make LOTS of different prototypes to make sure this was the case. We know that not all bikes are made the same and that is why we made them the way they are. because they are a made from a stretchy material(that is a technical term...) and have a flexible closing system, the BikeWrappers will fit around frame tubes anywhere from 4 to 8 inches in circumference. The high quality of the reflective fabric used in BikeWrappers allows motorists to see bikers using them from over a quarter mile away. Yep, we said a quarter mile! from that distance, the biker just looks like a floating triangle on the street, but they are still seen. and the BikeWrappers allow your bike to be seen from EVERY angle that a car may approach you on the road. What do you mean they are reversible? Well, the BikeWrappers are made from two main fabrics and uses Velcro to attach themselves to your bike. One side is the silver/grey reflective spandex fabric and the other reverse designer side(non-reflective) is the lycra. If you flip them to the designer side we do want to let you know that they are not reflective and should flip them back to the silver side at night. I got my BikeWrappers and they don't seem to light up like your pictures? Well, trust us they work. it is all about the nature of reflective material and the angle of the incoming light. Think of them like a mirror, where they will bounce back whatever light hits them at that exact same angle. So if you are on your bike and a car approaches you from behind, the light from their headlights will bounce back directly to the driver(which is the important part) rather than turn them 'on' like a flashlight. If you want to test this yourself once you have them, just have your friend jump on the bike and you jump in the car or take a flashlight, point it at your bike with your BikeWrappers on from any distance(about eye level), and you will see how bright they are. Aren't my standard bike reflectors enough? Well let's say this. the standard reflective materials on a bike coming right out of the box is roughly about ~ 24 square inches of reflectivity(pedals + wheel reflectors) and that is assuming they even included this much.  BikeWrappers provide over 244 square inches of reflectivity! that is over 10X more reflectivity than your typical bike reflectors. What about my water bottle cages, how does that work? Yep. We have designed the BikeWrappers to fit around your bottle cages on both the seat and down tube of your bike. Will the BikeWrappers fit around my cables? Yep. Again the BikeWrappers are designed to mold around your brake and shifting cables WITHOUT affecting their performance at all. What bikes won't the BikeWrappers fit on? Will the BikeWrappers fit on my child's bike? Yes and no. They aren't made in a size to fit on your toddlers bike. Heck, though what kind of toddler rides their bike at night when they should be in bed. the BikeWrappers are designed to fit almost most bikes with a frame size of 15 and larger. BikeWrappers are great for you parents out there that want their children to be seen on the road when riding their bike home late night from that friends house across the neighborhood. Aren't ladies bikes designed different, how does that work? Yep. Ladies bikes typically have a slightly different frame design. Usually the top tube is at a downward angle instead of being parallel to the ground, splitting the seat tube in half. In most cases, the dimensions of the seat tube BikeWrapper accommodates for this fact and will still fit on the seat tube without a problem. Do the BikeWrappers have to come in a set of three? Yep. Well, besides making your bike safer with having three reflective BikeWrappers on it, we only sell them in a set of three to keep the costs down from what they would be otherwise. How long do they take to put on and take off? Of course. We know that the BikeWrappers can't stay clean forever, at least if you use them in the real world. but it will be noted that because of the qualities of the reflective fabric, every time that you wash them, they do lose just a tiny bit of their reflectivity. The reflective side is made from a highly retro-reflective nylon and polyester stretchable fabric. The designer side is made from a nylon stretchable fabric. They don't take batteries, right? Nope. Unlike your bike lights, the BikeWrapper fabric is doing all the work simply by reflecting the light from the car headlights right back to it's source. I don't live in the US, do you ship to me? Possibly... we currently ship to Australia, Canada, Denmark, Germany, Ireland, Italy, Netherlands, New Zealand, Spain, UK, and US Minor Outlying Islands so we sure hope that you live in one of those countries.